Traveler's Notebook There are 45 products. These are card-sized pocket stickers you can paste on the cover or inside your notebook refill. 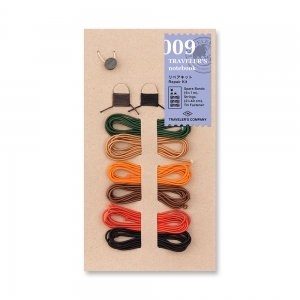 For regular size TRAVELER'S Notebook. 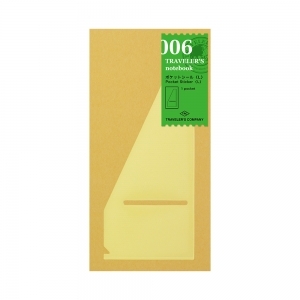 These notes are stored in a plastic cover, so it can be kept in your TRAVELER'S Notebook without getting damaged. For regular size TRAVELER'S Notebook. This is used to connect two refills of TRAVELER’S notebook. 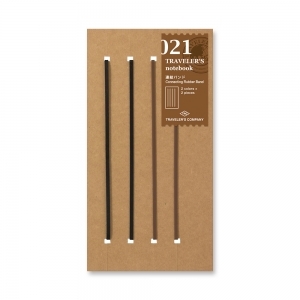 Pack of 4 rubber bands. 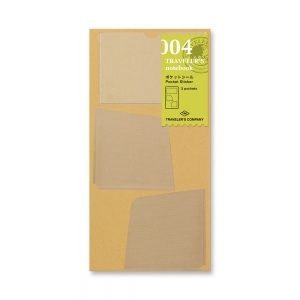 This is a kraft paper folder you can attach to your notebook refill to store everything. For regular size TRAVELER'S Notebook. On the left side, you can write your plans, and on the right side, you have the memo section for writing and drawing. For regular size TRAVELER'S Notebook. This vertical planner is useful for people that have a lot of plans to write and manage. 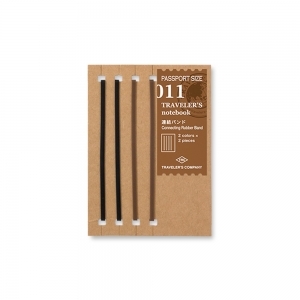 For regular size TRAVELER'S Notebook. 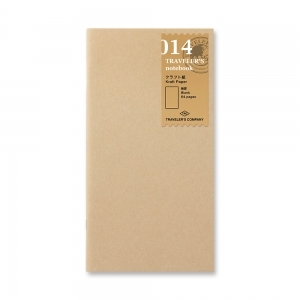 This free diary covers 14 months. The dates are not printed on this refill, so you can start it and pause it whenever you want. 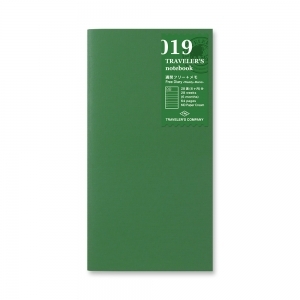 For regular size TRAVELER'S Notebook. This is a kraft paper notebook where both the rough texture of the kraft paper and writing suitability is achieved. For regular size TRAVELER'S Notebook. 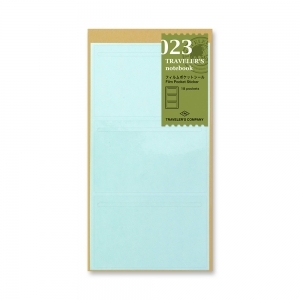 This is a notebook refill that uses papers that are thin and light. 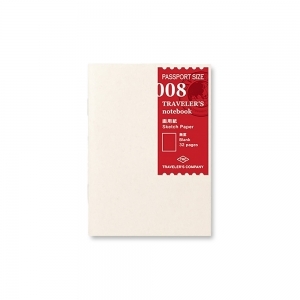 For regular size TRAVELER'S Notebook. 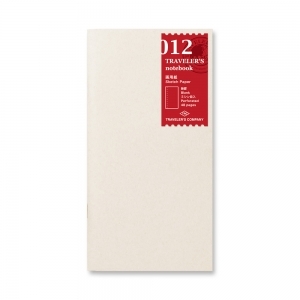 012 Sketch paper notebook for regular size TRAVELER'S Notebook where you can paint using water colored ink. This is a binder used to set the regular size TRAVELER’S Notebook refills. The metal parts will allow you to set five refills. This is a double sided sticker sheet you can carry in the zipper case of your TRAVELER'S Notebook. 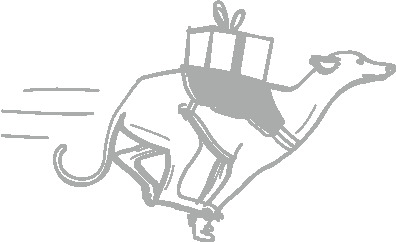 If the band gets cut or loosened, please use this to repair. 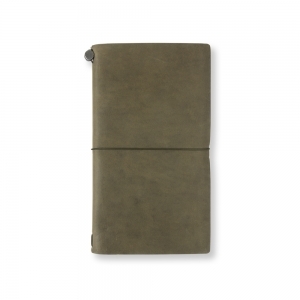 For both size TRAVELER'S Notebook. One end has a zipper case, and another end has a pocket. 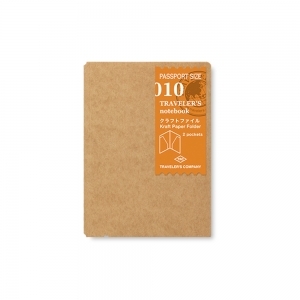 For Regular size TRAVELER'S Notebook. 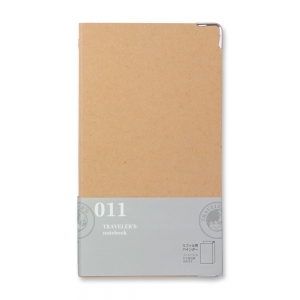 This is a card file for regular size TRAVELER'S Notebook with twelve pockets to insert business cards. 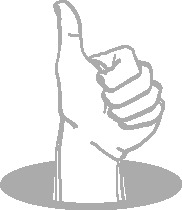 This is a sticker you paste directly on the leather cover of your regular size TRAVELER's Notebook. 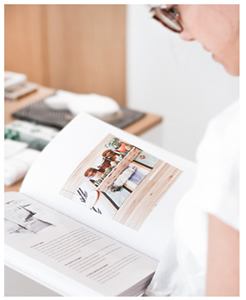 This is a diary version where a single page is worth a single day. The page is grid ruled, so it makes it easy to write, draw, and paste things that you collect. 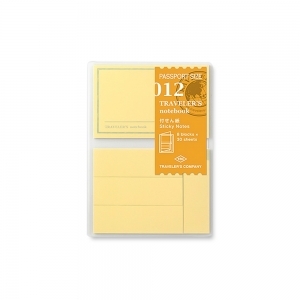 For regular size TRAVELER'S Notebook. These are stickers you paste on the inside of the leather cover of your TRAVELER'S Notebook. It’s a plain white MD paper, so please feel free to draw, write, paste, and paint whatever that comes up in your mind. For regular size TRAVELER'S Notebook. 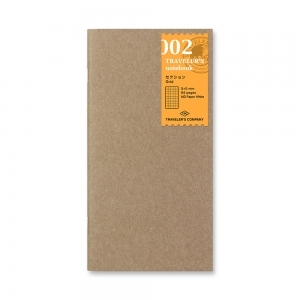 This is a grid notebook ruled into 5mm squares. 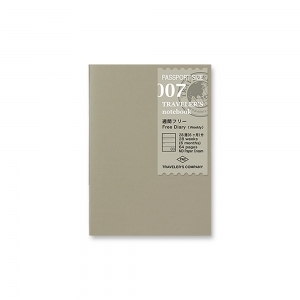 For regular size TRAVELER'S Notebook. This refill has lines printed in a 6.5mm interval on MD paper. 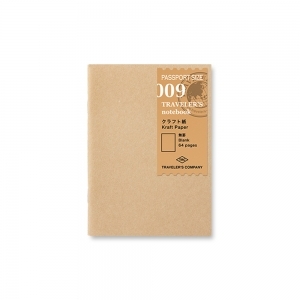 For regular size TRAVELER'S Notebook. 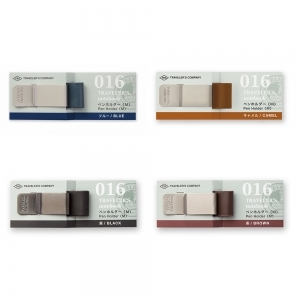 This is a clip type holder to clip your pen onto the TRAVELER’S Notebook. Suitable for both passport and regular size. These notes are stored in a plastic cover, so they can be kept in your TRAVELER'S Notebook without getting damaged. This is used to connect two refills. Pack of 4 rubber bands. For passport size TRAVELER'S Notebook. 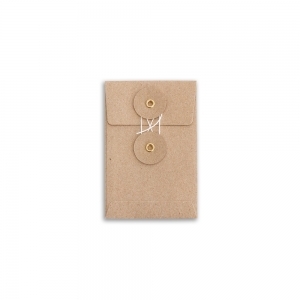 This is a folder you can attach to your notebook refill to store everything. For passport size TRAVELER'S Notebook. 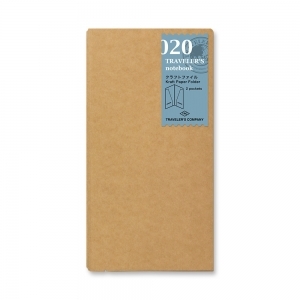 An original paper is used for this notebook where both the rough texture of the kraft paper and writing suitability is achieved. For passport size TRAVELER'S Notebook. 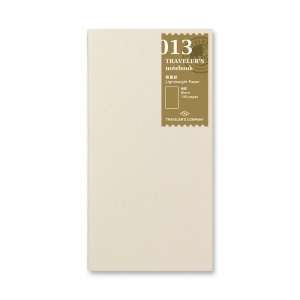 Sketch paper notebook refill suitable for water painting and collecting stamps. For passport size TRAVELER'S Notebook. 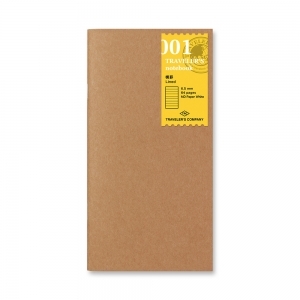 You can enjoy this weekly planner as a mini diary where you write down things that happened on that day. For passport size TRAVELER'S Notebook.